FREEBIRD EXPRESS PUBLISHING Description: Freebird Express Publishing helps writers and regular, everyday people, share their stories through offering free and paid freelance-based services from tips/tricks, how-to’s, advice, and free Q & A support, to simple critiquing and proof-reading services to editing, formatting, cover-design, and full-scale digital, paperback, and audio publication on major outlets such as Amazon, Barnes & Noble, Kindle, Goodreads, and much more. We understand that not everyone has the funds to spend on things like books, or perhaps you’re reluctant to spend money on a new title or new author that you’re not familiar with. Heck, in my entire life of writing and reading, I’ve always had to rely on libraries for my reading and researching needs. But did you know that reviews are the most difficult thing to come by for an author (for most products in general), yet it’s those very reviews that most people look at when they’re considering purchasing a product, or even picking a restaurant? Or that those who are most likely to leave a review are those who are dissatisfied with a product? What this does is skew results, so if a 1000 people love a book, but they don’t leave a review, and 1 person doesn’t like the book, and leaves a review saying so, then anyone else considering the product will see that one bad review, but not the 1000 good ones. So here’s something you probably didn’t know. Most companies of any product, as well as publishers, already have a list of reviewers before the product even comes out on the shelves. Have you ever heard those radio commercials or seen other advertisements where they offer to give out a product for free ‘to their first 100 callers’? or ‘for the next 30 days only’? They do this so that by the time the product actually reaches the shelves, they already have an entire list of reviews and reviewers to discern the quality of a product so that the public can have a relatively honest opinion on it before they determine to purchase it. They do this because most people don’t leave reviews or have the time to complete surveys. I know I don’t. Not even when I’m told that I can get 5 dollars off my next purchase if I go online and complete a survey about my experience. Only once when Walmart was offering like a 10,000 dollar giveaway did I go through with the whole shabang. I didn’t win the first time, so I didn’t do it again. With the sky-rocketing amount of book titles coming out in a single year, the market has become highly competitive for authors, but even for readers, it can be so frustrating, because even though there’s an endless supply of free reads out there, self-publishing platforms are so user-friendly that literally anyone can publish a book. For so many aspiring writers and authors and readers, it enabled passage for all the hidden extraordinary and original talent out there in the world and indie publishing has become so popular for that reason, but it also opened channels to all those that wouldn’t provide quality or to those just trying to make some fast-cash whom could then just change their pen name and do it again. Further, there are hidden exchange programs and groups and a variety of illegitimate ways that people can go about getting dishonest reviews. I remember one I came across that advertised, $5 for 5-stars. Now Amazon and other companies have done their best to try to filter these illegitimate reviews out, but there’s only so much they can do in a free market. So put together all the information I just revealed, and the fact that most people don’t provide reviews, even if they’re completely satisfied with a product, then you find that those most likely to get an abundant of positive reviews have come upon those reviews through either having a backlist of reviewers or through illegitimate ways. (The backlist of reviewers is completely legit and legal, because those reviews are honest, but it is more likely an exchange of free goods, so the reviewer isn’t paying for the product and then leaving a review at their leisure; rather, they’re getting a free product and then being asked to complete a survey or provide their honest opinion on how they felt about the product). What this means is that reviews – honest, legit reviews – are more important than ever for the public to know if they’re going to get a quality product. Which is what Freebird Express Publishing’s Paying-It-Forward Program is all about. 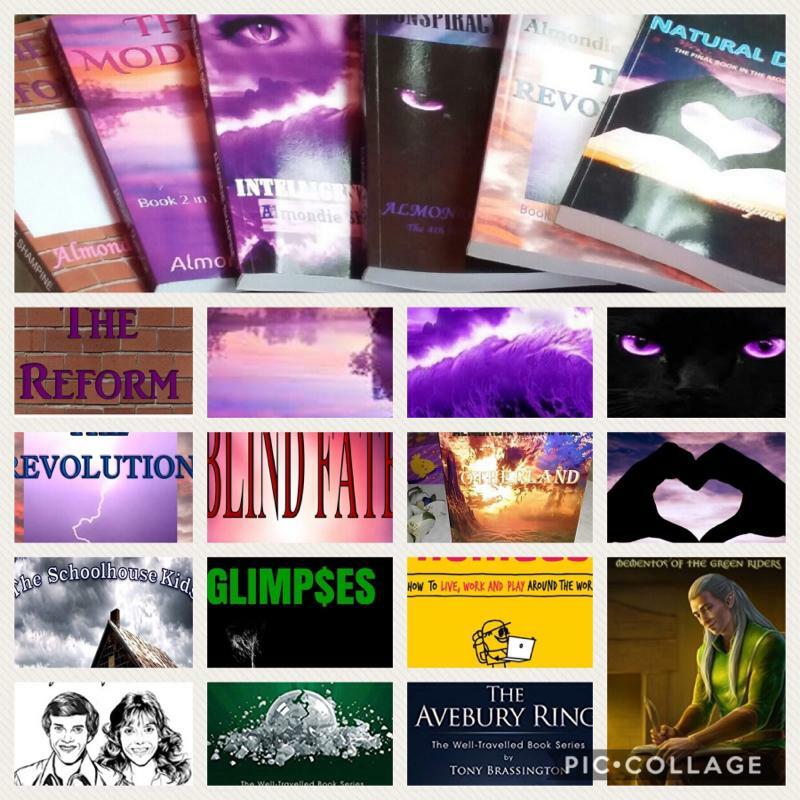 The Read & Review feature is for titles that Freebird Express Publishing is able to provide for free; however, the Paying-It-Forward Program applies to the entire market and any and all businesses that provide products or services for sale by spreading the word. If you get a product for free, there is a person or a business behind it that not only created the product, but also invested their time and money into it, and nothing is ever quite free. Someone has to pay for it, so if you’re getting something for free, it’s at the expense of the person or business that is providing it. Artists especially – authors, illustrators, photographers, musicians, designers, producers – those who create – spend thousands upon thousands of unpaid hours, decades even, to create that product or provide that service. So behind every e-book or paperback that is promoted as free for a limited time is a person with a home, a family, and bills to support. Most authors/writers/artists have to work fulltime jobs outside of their profession to make ends meet. Most artists only dream of one day making enough to be able to commit themselves full time to their art. So if you get something for free, remember to think about the person whose hard work, time, and expense provided it, and pay it forward. Whatever your opinion is of it, share it. Leave a review to help others filter out the poor and good quality products. Take a few seconds to share the link and spread the word. Know that it matters significantly and could be the difference between an extremely talented individual gaining acknowledgement and appreciation, versus one whom scams for sales and scams the public, whom doesn’t provide quality, while gaining more reviews in illegitimate ways than the honest talented individuals giving out thousands upon thousands of their product or service for free in order to be able to get their product out their and be acknowledged for all their hard work, talent, and expertise. Most artists aren’t motivated by money, just like most would choose freedom and the ability to create their own original work versus signing their lives away on the contracts that could help them to achieve fortune and fame. You know what we all DO love, though? Fan mail. I’d take fan mail or inspiring reviews any day over cash, because to know I even just made a single person’s day better or inspired and impacted a person’s life in a positive way is priceless. Freebird Express Publishing offers a Free Read & Review Feature as part of its Paying-It Forward Program. It means that you, the reader, can check out most any title featured on the FreeBird Express Publishing page and read it for FREE where we just courteously request that you provide an honest review of what you read and/or spread the word to those that may also enjoy it. In the coming year, FreeBird Express Publishing will be signing 3-4 dozen authors, alongside our current authors, and releasing dozens of titles, in addition to working alongside other authors and publishers in the recommended authors/titles & new releases list. What this can mean for you as a reader is thousands of hours of leisure reading time that doesn’t cost you a dime. In addition, there are plenty of rewards programs and additional incentives for reviewers offered on places such as Amazon and Goodreads and first-come-first-serve access to giveaways on gift cards, Kindles, Nooks, Books, and more! So give it a try, and if you really like it, you may even be able have access to titles before they’ve even hit the shelves! You may sign up here via email or complete the Free Read & Review form HERE where you can read the descriptions of the various titles offered as well. In addition, FreeBird Express Publishing will be posting Free Reads as part of this blog, and your comments and opinions will help let us know what you like, don’t like, and what your reading preferences are so we can give you more of what you like or what you’d like to see in the future. Finally, we’ll be having a huge, once-in-a-lifetime, promotion coming up on 4th of July week, 2018. And let’s just say that #FREE and #ONETIMEONLY are the key words. You don’t want to miss it. Next Up: Get the entire 6-book Modules Series for FREE beginning July 4th and ending midnight Friday, July 6th, ONE TIME ONLY, in celebration of Independence Day Week(end), and the revolution of a reformed dystopian world begun by one rebellious, prodigy, quirky, yet humorous, teenager, Catina Salsbury. 6 action-packed Modules Series novels FREE? IT CAN'T BE! ONE TIME ONLY? THAT'S A STEAL-PORTUNITY! Freebird Express Publishing 2018. Simple theme. Powered by Blogger.